As parents, we are well versed in the challenges of helping a young child navigate through episodes of frustration or unusual behavior. Tantrums or unexpected actions most always have a cause and parents who work down the typical checklist of tiredness, hunger, sickness, need of attention, boredom or something similar, can usually isolate the origin of the behavior. Some parents, however, who end up perplexed and frustrated by the lack of an apparent trigger point, may be well served to look deeper for other “not-so-obvious” causes for the unusual behavior or the disruption of “sensory processing”. The key is determining what your child needs to properly navigate his or her environment, and then providing the right “toolkit” of support. Our natural senses provide our brains with an ongoing onslaught of information that must be absorbed, sorted and processed before we can make a determination on how to react to a particular stimulus. For example, under normal circumstances, an individual in a crowded room would be able to ignore much of the background noise and hold a meaningful conversation. Similarly, for most of us, the presence of extreme bright light on an especially sunny day wouldn’t disturb our ability to concentrate and safely operate a car. Our neurological system takes in the stimulation, interprets it, organizes it, and uses it to properly react with appropriate energy, focus, emotion and behavior. It’s generally perceive that everyone’s neurological processing ability works the same. 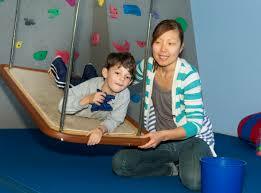 However, many children and adults can be affected by Sensory Processing Disorder, or SPD. Sensory Processing Disorder is a developmental disorder which some neurology experts have equated to a stimulus “traffic jam”, affecting a person;s ability to properly make sense of the information being received. Those with SPD have challenges processing certain types or degrees of sound, light, flavors, food texture, movement, or other sensory exposure that most of us consider routine. These processing challenges cause confusion and frustration and, in turn, especially in children, is exhibited in tantrums or other unusual behavior. These behaviors might manifest as difficulty playing with friends, struggling to hold a pencil or scissors, being discontent sitting still, experiencing unusual clumsiness, or generally seeming “sensitive” to the world. The normal neurological sensory process begins in the womb and continues for the rest of our lifetime, with special significance during the first seven years of childhood. During this evolutionary period, a person develops the skills necessary to become functional and self-sufficient. The expectations for the level of development of these skills will vary depending on age. More importantly, all of these skills are developing simultaneously and impairment of any one area is likely to stunt development in other areas. These complicated and intertwined growth patters, at times, need help to “catch up” to what would otherwise be considered a standard rate of development. Statistics indicate that one in 20 young ones need or could benefit from receiving special therapy to help overcome these delays. The important thing for parents to know if their child is experiencing an SPD challenge, is that there is accessible help. 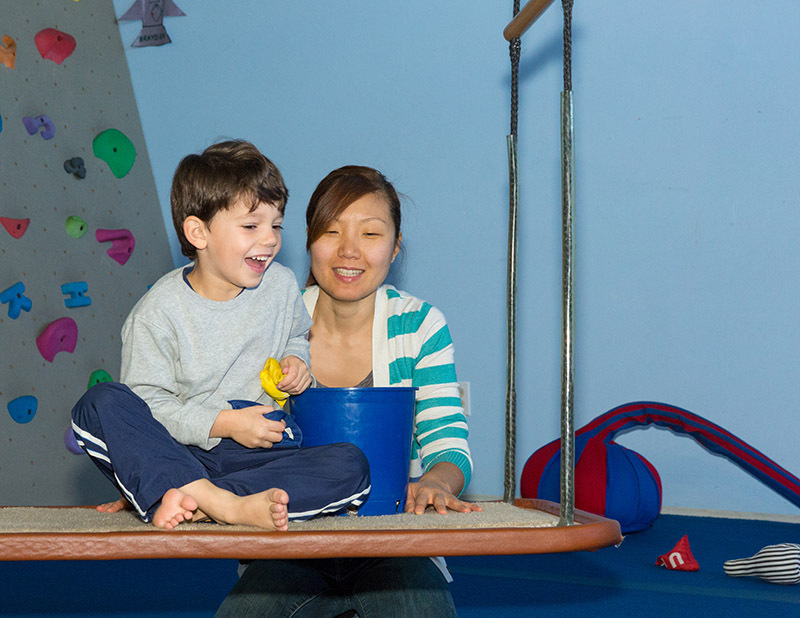 Pediatric Occupational Therapists use a treatment approach called Sensory Integration to help overcome SPD and get the child back on track to normal development. Education and involvement of other family may also be critical to success. Parents can and should take an active role in looking for potential issues and seeking to understand as much as they can about the sensory process. Learning about Sensory Integration will help every parent understand their child and themselves better, and will enable them to foster greater compassion and understanding along with stronger relationships with their loved ones.